Max Ogles is the author of Boost: Create Good Habits Using Psychology and Technology and he writes at MaxOgles.com about behavior change, psychology, and technology. Sign up to receive his free app guide, ‘117 Apps to Help You Create Good Habits,’ or receive free updates about his latest essays. On December 16, 2013, a Taiwanese tourist was walking along St. Kilda pier in Melbourne, Australia. The pier offers a beautiful scenic view of the ocean, inviting tourists to snap photos to share with friends. As expected, this female tourist had her phone out too, except she wasn’t saving precious memories – she was checking Facebook. She walked along the pier staring at her phone, and it proved to be too much of a distraction. KERPLOP. She fell right into the ocean. Lucky for the lady, she managed to float in the water for about 20 minutes until a boat arrived to save her. Official reports of the event suggest that, after nearly a half an hour in the water, the woman was still holding her cell phone when help arrived. It’s not likely that you’ve walked off of a pier while staring at your cell phone, but it’s virtually guaranteed that you’ve been distracted by your phone in a moment when your attention should have been elsewhere. We like to think that we’re experts in how and when to use our smartphones, but the truth is that they’ve really only been around for a few years. Usage and adoption of new technology nearly always outpaces our understanding of how that technology will ultimately affect us. Take cars, for example. The first car was built in 1886 by a German engineer name Karl Benz. It took another 30 years for cars to be widely available in the US, when Henry Ford perfected the assembly line and other methods of manufacturing. Even then, drivers were well aware of the fatal risks of operating a massive machine at high speeds. And yet, seat belts did not become mandatory in cars until 1968! Usage and adoption of cars far outpaced our management of the risks. The first iPhone was released in 2007, so we’re barely eight years into the era of smartphone technology. Do we even know what the risks are yet? 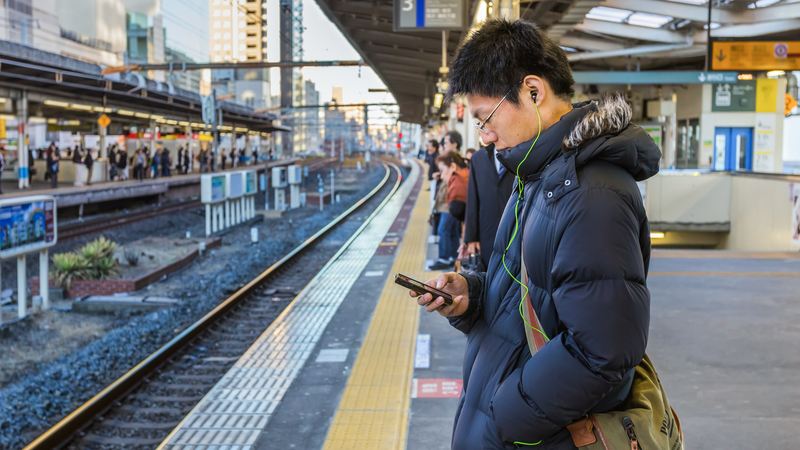 Let’s take a look at some of the research that’s been done, as well as some of the basic precautions we should take to ensure that we harness the power of smartphones, rather than letting them pull us along for the ride. A study produced last year at BYU suggests that even brief technology interruptions – a quick glance at a text message, a swipe during a conversation – can create conflict and “negative outcomes in a relationship. There were correlations between “technoference” and lower life satisfaction, depressive symptoms, and technology-related conflict. In other words, real psychological effects. And remember, we’ve only been really engrossed in smartphones for just a few years. 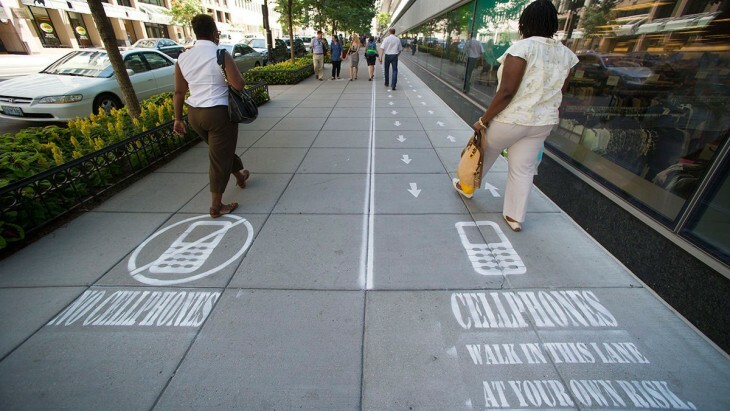 A real scale has been devised to measure how much of a negative impact mobile phones can have on our behavior. An interesting observation about technology is that sometimes the most productive people we know are actually the most guilty of “technoference” and other smartphone sins. Occasionally, people confuse productivity with checking their phones, when that couldn’t be further from reality. Phones have a variety of different triggers and they’re nearly inescapable. You might have alert sounds for multiple different apps, vibrations, and notifications onscreen. Even when the sound is off, you can see your phone light up from several feet away and instinctively reach for it. To weaken the habit loop, just turn off the triggers. On my phone, I’ve disabled every notification except for text messages and phone calls, which are the primary means of communicating with others. I’ve even disabled email notifications, though I did leave the little badge to see how many emails I have. Life is great with no notifications – the external triggers are gone. However, there are still internal triggers that cause me to reach for my phone, like when I’m bored. That’s what solution #2 is for. Since the beginning, the mobile phone’s greatest asset has always been in the name itself: mobile. Our phones can go anywhere with us. If triggers are the primary reason smartphones are addictive, mobility is a close second. The old land lines stayed in one place; to make a call, you had to plant yourself in one location and stay there for the duration of the call. One of the best ways to reduce your phone’s negative impact is to assign it a place. When you’re at home, set it on a table or shelf out of reach. At work, leave it in your bag or purse out of reach. When you don’t give your phone a place, that’s when things get out of control. On the sofa? You check your phone. On the toilet? You check your phone? In bed? You check your phone. If you find a place for your phone, and always leave it there, you can minimize the damage. Keeping your phone out of reach will help you wean yourself from the instinctive habit of reaching for it when you’re bored. Remember – we’re still in the earliest stages of smart phones; not even a decade has passed since they showed up on the scene. If you take some time to create good smartphone habits now, you can save yourself from the negative effects that await in the increasingly tech-dependent future.